This map shows territory of Syria. free map of Baniyas 1 cm to 1 km displayed. interesting map of Maq`ariyah 1 cm to 1 km presented. actual map of Khubbah here. 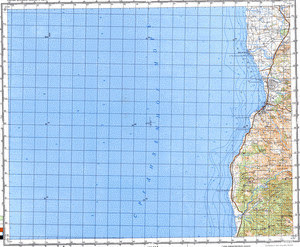 topographic map of Dhurti и OziExplorer calibration free download. detailed map of Badi`an 1 cm to 1 km for you. detailed map of Tayru и OziExplorer calibration free download. interesting map of Zallalu calibrated free download. topographic map of Bayt Qanuta и OziExplorer calibration for Garmin. free map of Zimrin и OziExplorer calibration for gps. map of Zahriyat `Attal presented. interesting map of Zahriyat Adam 1 cm to 1 km presented. actual map of `Usaybah for gps. actual map of `Urqub 1 cm to 1 km displayed. free map of Ubin for Garmin. actual map of Tiru 1 cm to 1 km for Garmin. free map of Tall Sighab и OziExplorer calibration free download. actual map of Tall Daruk for gps.